The GP is in a percent is waking up, or should I say growing up. Trump said if he was elected: "you will find out who really knocked down the World Trade Center." DONALD TRUMP: We went after Iraq, they did not knock down the World Trade Center. It wasnâ€™t the Iraqis that knocked down the World Trade Center, we went after Iraq, we decimated the country, Iranâ€™s taking over, okay. But it wasnâ€™t the Iraqis, you will find out who really knocked down the World Trade Center. Because they have papers in there that are very secret, you may find itâ€™s the Saudis, okay? But you will find out. they could now say(try to spin)"OK-they've been released now-nothing to see here"-as opposed to the risk of full redactions and spin of a Trump Admin doing this in the unlikely event he wins the election. IOW-Trump got the release of those pages just with this threat. Frankly I (along with the 9-11 victims)consider this a positive thing. He's scares the corrupt establishment which I also consider a good thing. I'm not suggesting everyone bow down and worship at the altar of Trump -I don't agree with everything he says and does, but that would be the case with ANYONE running for office. The alternative was Clinton. Which is why it is a good thing Trump won. I find it unfortunate you don't realize this. I'm not opposed to criticism of Pres. Trump, I think it's good to be critical, but fair. EG, your right he did say that. In fact, I believe he knows it! The other side of the coin, if at this moment in time he revealed this- think about what would happen. 911 was the most treason act in American history, without concrete evidence, guess what, he would be impeached for even hinting it as president. His ADM and intel agencies would end this man, the MSM would slice him into pieces. Americans know the truth deep down with the exception of the willfully ignorant and brainless. The guy got crucified for eating two scoops of ice cream by the MSM, can you imagine what would happen to him, NOW, TODAY if he spilled his guts. YES, I would love to see this revealed you and others would, so tell me please, what would be the effect. This should have been done during the Bush years, since then the dark state invaded about any nation possible, American lives were lost, country's- nations tumbled, hundred of thousand deaths. Id love to see this on the MSM, headline news, grab up the traitors as much as you do, even as much as Trump may want to he-but he is no mutt and realizes without a doubt he would go down in flames, any plans he has to kickstart this nation would be over. If exposed without true unabated evidence, truth in the ABSOLUTE the shitshow would begin big time. Please consider this- OR he'd be castrated,,,Maby then Hillary would take his place! The deep state criminals are afraid of being shown as complicit in Jfk murder? Why else would they try to keep the files from being released? 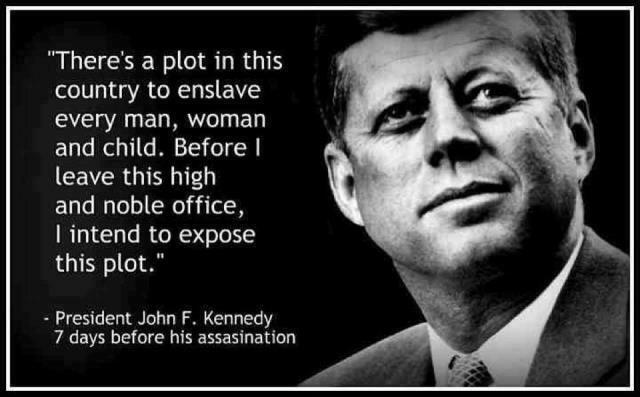 Most of the public does not believe the "lone gunman" lie then, just like they dont believe those lies today. The deep state criminals need to be rounded up and put behind bars. Ater it is know what happened in the JFK assassination consipiracy, they can take Hoover's and Johnson's graves and mark them for the traitors and treasoners they were! Not only against America, but against Humanity. And, all those alive need to serve time for the rest of their lives and be known for the traitors they are! We need a special traitors graveyard, away from those honorable men & women who served their country. The Committee has, however, developed evidence which impeaches the process by which the intelligence agencies arrived at their own conclusions about the assassination, and by which they provided in-formation to the Warren Commission. This evidence indicates that the investigation of the assassination was deficient and that facts which might have substantially affected the course of the investiga-tion were not provided the Warren Commission or those individuals within the FBI and the CIA, as well as other agencies of Government, who were charged with investigating the assassination. The Committee has found that the FBI, the agency with primary responsibility in the matter, was ordered by Director Hoover and pressured by higher government officials, to conclude its investigation quickly. The FBI conducted its investigation in an atmosphere of concern among senior Bureau officials that it would be criticized and its reputation tarnished. Rather than addressing its investigation to all significant circumstances, including all possibilities of conspiracy, the FBI investigation focused narrowly on I Harvey Oswald. If intelligence can not do its job with professionalism and integrity, THEN THEY SHOULD BE EMBARRASSED, CRITICISED, TARNISHED THEN FIRED! ARE YOU MEN OR LITTLE BOYS? THE LIES HAVE TO STOP! I just love the way your put things, simple and to the point. Thank you Jacob Law! Your posts are much a pleasure to read too. You give good information and a valid viewpoint. I always look forward to them. My White House sources told me that CIA director Mike Pompeo opposed the release of the classified JFK assassination material by President Trump. Now, the game of the Deep State boys will be to undermine the presidentâ€™s order by redacting and withholding much of the material the president has ordered released. It is notable that the first tranche of documents released by the National Archives in July were so redacted and had so much material withheld on the basis of â€œnational securityâ€� that they were worthless. THE CIA IS MOST CERTAINLY ACTING GUILTY. WHAT DO YOU THINK? Joforthruth, this is direct question for all citizens of USA. Not only for this forum. Thats right! You get the point of the comment! The purpose of this article is to discuss the efforts Sen. Richard Russell undertook to help solve the greatest and most notorious crime committed in the United States in the 20th century, and to show that Russell's grave concerns about the adequacy of the assassination's official investigation by the Warren Commission, the FBI, and the CIA, and about the accuracy of the Warren Report itself, have been fully vindicated. Himself a member of the Warren Commission, Russell actions as a member soon led to his being labeled the Commission's "great dissenter;" and, because he was the first member to publicly criticize the Commission's work, he is also known as the Commission's "first dissenter." 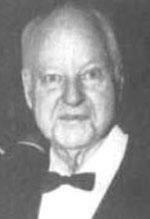 Russell never wanted to serve on the Warren Commission and was tricked into becoming a member. 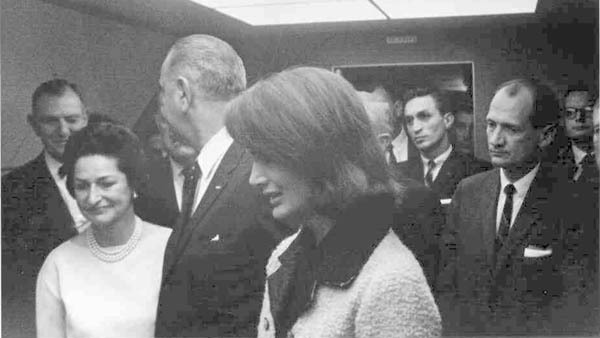 On Nov. 29, 1963, one week after the assassination, the new president, Lyndon B. Johnson, an old friend, called Russell on the telephone and tried to persuade him to serve as a member of the commission (soon to be known as the Warren Commission because its chairman was to be Chief Justice Earl Warren) that LBJ was about to create to handle the assassination investigation. Russell firmly declined. 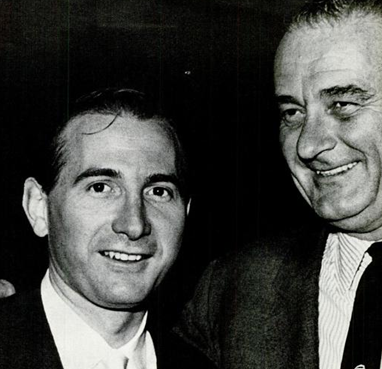 Five hours later that same day, however, LBJ called back and told Russell that he had been appointed to the commission and that this had already been publicly announced. "Learning that he ha[d] been outfoxed," historian Michael R. Beschloss writes, "Russell react[ed] with astonishment, indignation, then the weary resignation of one who has been dealing with LBJ for years." It was thus by artifice and deceit that Russell was, as he put it in a letter written later, "conscripted on the Commission." Oh, was Bush trying to protect his dad? GHWB was said to be in Dallas on the day of the "Big Event" (CIA Code for Jfk assassination said E Howard Hunt)! Don't expect all of it. Aaah. There's already a little problem with this. I get the impression that Obama and Trump really have very little control over these things. Volume 5 of the CIA's Lee Harvey Oswald 7-volume collection, may never be turned over, even though the law requires it to take place by October 26th of this year. As Sputnik reports, the release in July of 3,810 CIA and FBI documents on the assassination by the Assassination Records Review Board threw up a number of revelations that JFK researchers have hungrily devoured and enthusiastically publicized. 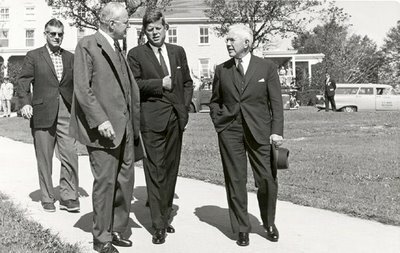 For instance, the mayor of Dallas at the time of Kennedyâ€™s assassination, Earle Cabell, was a CIA asset in the 1950s, and his brother, Charles Cabell, a high-ranking CIA official until 1962. Inside Langley Air Force Baseâ€™s CIA Headquarters is an office known as the Office of Security. The Office of Security maintains its own top-secret archives known as the Office of Security Archival Holdings and is a separate archive from the agencyâ€™s more frequently used facility located in Alexandria, VA known as the Agency Archival Record Center. The AARB eventually received the 7-volume set of documents on Oswald in 1998, but staffers quickly realized there was one volume missingâ€”volume 5. An agency explanation was offered that volume 5 could have been consolidated into Volume 4, or Volume 6 for example. Eventually, the agency concluded, according to Blunt, Volume 5 of Oswaldâ€™s Security file may never have existed. Yes, there is no doubt there will be missing files and much text redacted. REMEMBER, WE ARE DEALING WITH EVIL LITTLE BOY GLOBALIST LIARS AND THEIR SELLOUT MINIONS THROUGHOUT HISTORY. OH, BUT THEY ARE LOSING THEIR POWER NOW THAT THE PUBLIC IS AWAKE WORLDWIDE, AND OUTRAGED! Trump knew what happened before he became President. The 'shadow boys; will try to hide what they can? ,,,but remember most witnesses are DEAD! ...Because he was Stopping the FEDS from Printing FIAT CASH! ;;;and when ya watch these Nits wits is the GOV. ...ya can see their minds and dignity have gone to HELL. ---one last chance America...DO YA UNDERSTAND? This video is very interesting and very detailed! 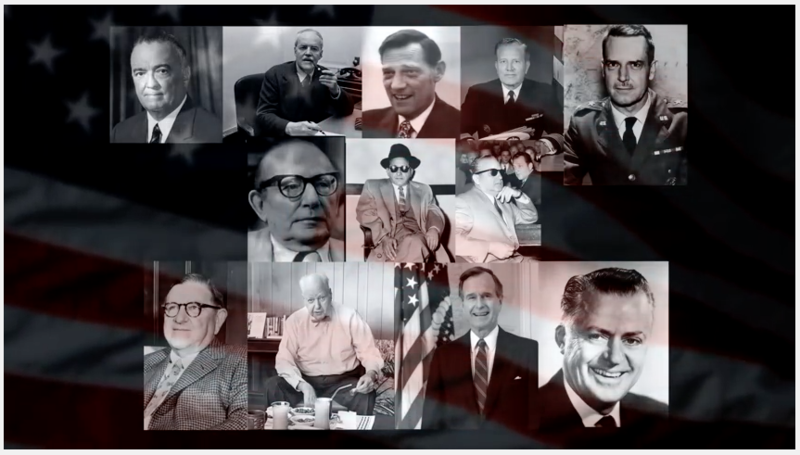 It names names and shows pics of the many co conspirators in JFKs murder including George HW Bush and the oil men, E Howard Hunt, LBJ, Military chiefs, Corrupt Cia Fbi Dallas cops on and on. 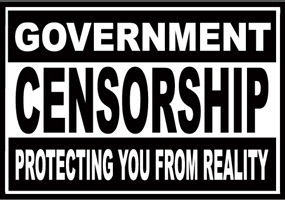 It outs the CIA control of media amd much more. The mindset of these criminals still exists today and any thinking person can see the cia owned media lying to you daily. I dont need all the details to know the Warren Commission lied about JFK, or that the 911 Commission lied about 911. ITS VERY OBVIOUS AS SHOWN BY THEIR ACTIONS NOW. U.S. 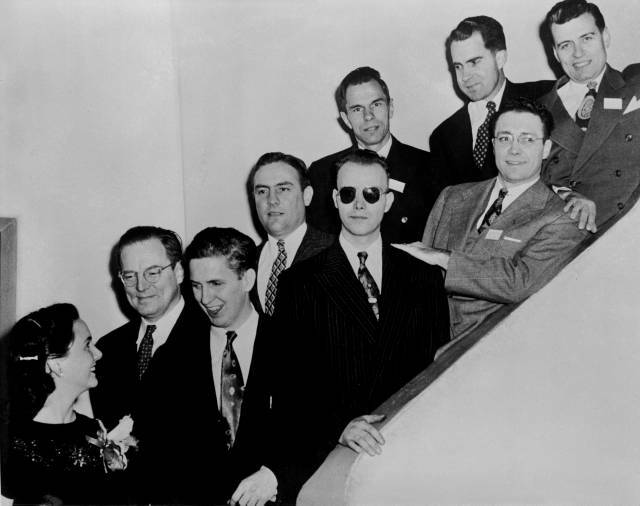 Junior Chamber of Commerce (Jaycees) Ten (10) Outstanding Young Men of 1947 with Barbara Walker (Miss America). I'd bet money I don't have these documents will be redacted in such a way as to conveniently absolve high-level (I repeat: high-level) CIA, FBI and Pentagon officials from blame. The National Archives needs the official approval of President Donald Trump to begin releasing the 35,000 documents online and meet a deadline to divulge the papers set by Congress 25 years ago by The John F. Kennedy Assassination Records Collection Act. But as of Thursday afternoon, the memo specifying which material the CIA, State Department and other agencies still want to keep under wraps had not made it to Trumpâ€™s desk, U.S. intelligence officials told NBC News. Memo from J. Edgar Hoover to the State Department's Intelligence & Research Bureaeu (INR), dated 29 November 1963, advising of a briefing given by an FBI agent to "Mr. George Bush of the Central Intelligence Agency" on 23 November 1963. Obtained from US National Security Archives. WHITE HOUSE â€“ Today, President Donald J. Trump took action to ensure release of the remaining President John F. Kennedy Assassination Records. 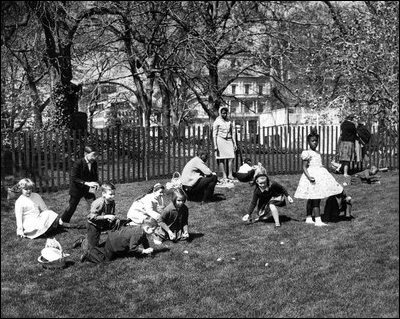 Accordingly, the National Archives and Records Administration will make approximately 2,800 records available in full for public access today. The remaining records will be released with agency-proposed redactions on a rolling basis in the coming weeks. The President has demanded unprecedented transparency from the agencies and directed them to minimize redactions without delay. The National Archives will therefore release more records, with redactions only in the rarest of circumstances, by the deadline of April 26, 2018. Surrounds theory on Castros retaliation kill on JFK and AMLASH Operation. CIA, FBI, Mafia all discussed.